Fruit and vegetables have been proven to help prevent many diseases such as heart disease, stroke and certain types of cancers. In fact eating your 5 a day can reduce the risk of getting these diseases by 20%. Fruits and vegetables are low fat, fibre rich foods that naturally provide us with essential immune boosting, heart healthy vitamins and minerals. Another reason why they are beneficial is because they contain compounds called phytochemicals. Phytochemicals are what give fruits and vegetables their characteristic colour or flavour and it’s these compounds that mop up the harmful free radicals that are damaging to our health. So to optimize your diet include colour at every meal and make fruits and vegetables your first choice of snack. It is widely recognised that eating five servings of fruit and vegetables per day is a healthy guide to stick by. Potatoes are a versatile vegetable which can be enjoyed in many different combinations! 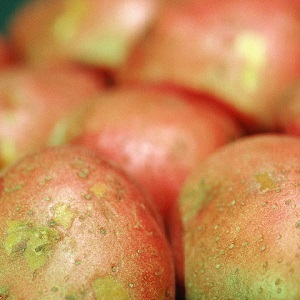 Microwaved, boiled, steamed or baked, potatoes are considered one of the healthiest carbohydrates and they are fat free. Carbohydrate foods are converted into glucose when we eat them which is the main source of fuel used by our muscles and brains. Also as potatoes are a natural source of fibre, they will keep you feeling fuller for longer, giving a slower, steady release of energy. And as most of a potato’s vitamins are just under the skin of the potato so it’s always a good idea to leave the skins on. Packed with vitamin C, a serving of potatoes will supply up to a third of your recommended daily allowance. 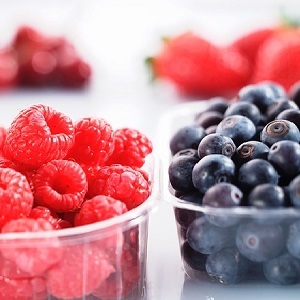 Berries are great for our digestive system providing both insoluble fibre and soluble fibre. This also means they provide a slow steady release of energy while helping to keep the bowel healthy. And as they taste deliciously sweet they are loved by all of the family! Put them on your breakfast cereal, in your kids lunchbox, on top of a salad or they are a perfect nutritious snack for that 3pm slump. Pineapple is described as a tropical fruit that is sweet and delicious and can be enjoyed fresh, baked or barbequed! Fresh pineapple is a good source of dietary fibre, vitamins C, A and the mineral manganese. 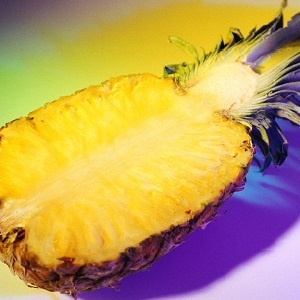 Pineapple is the only fruit to contain an enzyme called bromelain which is thought to have anti-inflammatory qualities. Some research has shown that regular consumption of pineapple may be effective in reducing pain from arthritis. Cucumbers are a versatile vegetable traditionally loved by dieters and for good reason…they are very low in calories and about 95% water. They can be enjoyed raw and pickled and even used as a cosmetic aid in facial and eye masks. 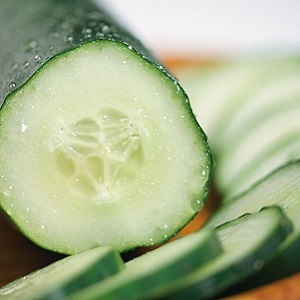 The bulk of the fibre is in the skin of the cucumber so it’s best to eat them with the skin on. The cool refreshing taste of cucumbers makes it a great accompaniment with hot and spicy food or a perfect snack with a salsa or houmous dip. Tomoatoes are a deliciously juicy low calorie fruit. But the real benefit lies in their colour… What makes tomatoes red are a naturally occurring phytochemical called lycopene. And tomatoes are the most concentrated food source of lycopene available. These compounds have been shown to reduce the risk of heart disease, certain cancers and more interestingly lycopene is thought to prevent prostate cancer and it may even delay the progression of the disease. 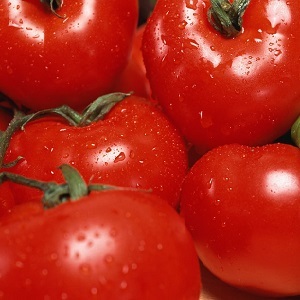 Tomatoes also contain vitamin A and C and potassium which maximises their health benefits even further.